D-Shirt helps you to get personalized t-shirts using a quick selection of tools. Just select the desired t-shirt, color & size and that is it. D-Shirt guarantees you to print the best in quality t-shirts with the most elegant fabric. D-Shirt International is a Swiss-based company, who is creating an online marketplace platform for custom t-shirt printing. 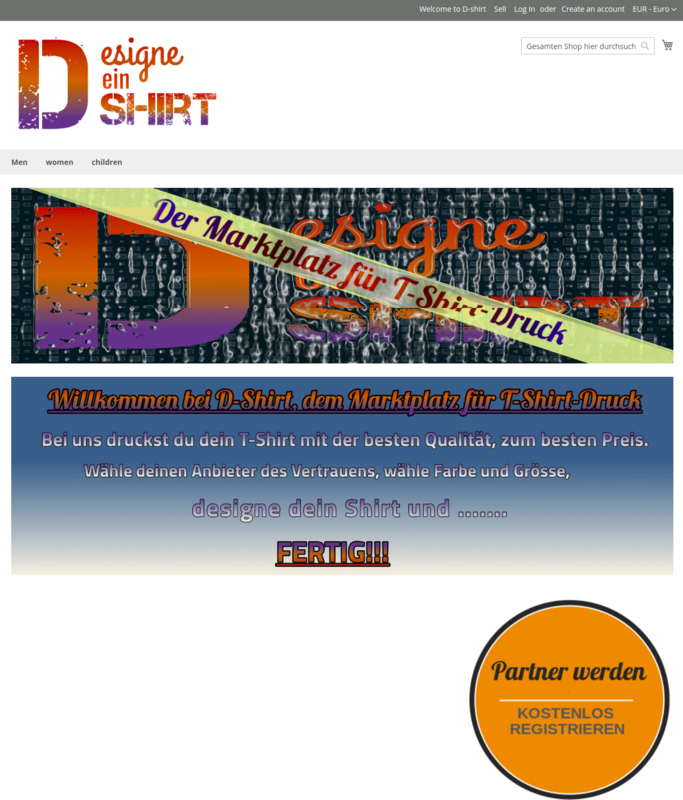 The online store website (https://d-shirt.design/) is made using Magento 2.2 Open Source platform. D-Shirt is a creative platform for custom t-shirts and custom clothing. Here you can easily choose your desired T-shirt, and with their designer editor, you can display your unique personalized message to all using your clothing. Here, you can design your t-shirt, by customizing it your text, image, and shapes. 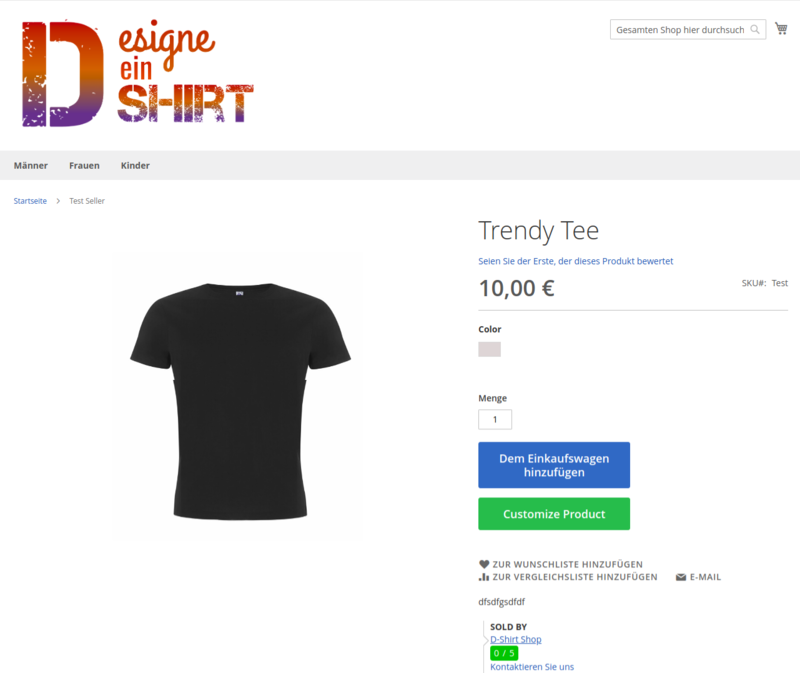 D-Shirt is based on the Print-on-demand (POD) business model, where you are selling white-labeled products such as t-shirts, mugs, covers, notepads or any other custom design merchandise. These products are listed on your online store, designed by customers, and shipped & fulfilled by third-party suppliers. 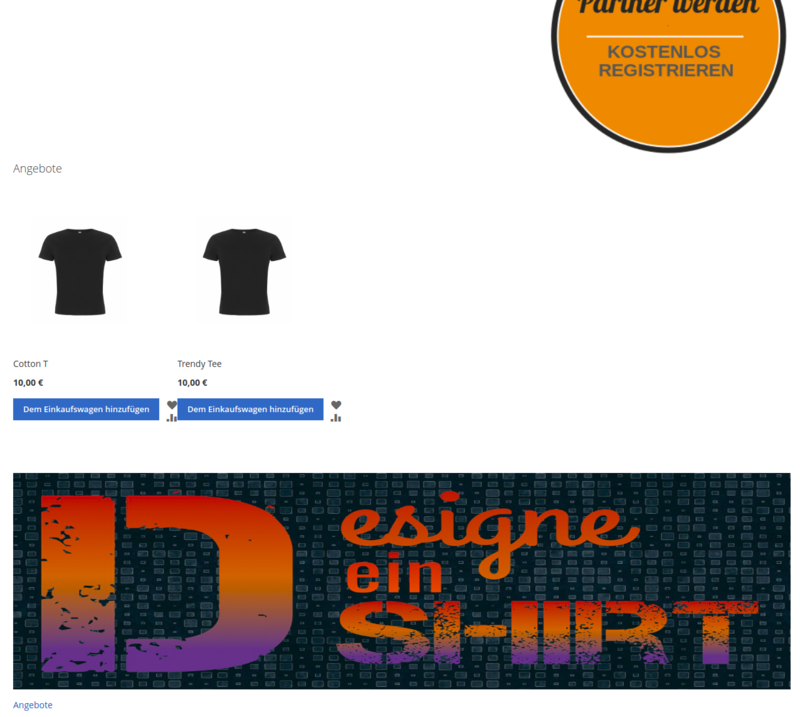 Martin Berchtold contacted Webkul support team regarding the query to create an online marketplace for personalized t-shirts to be customized by the customers. “I would need an editor in which the buyer can upload a design and place it on a piece of clothing; the editor should be available on every supply page. As Magento out-of-the-box does not support Web To Print product type. We need to install a third-party extension for the same. We suggested Magento 2 Web To Print extension, that allows the store owner to create Web To Print products. But, since he wanted to create a multi-seller marketplace, we suggested him to use Multi-Vendor Marketplace Module for Magento 2 as well. Allowing vendors to create product listing and manage orders, shipments, etc. Our support team guided Martin to his pre-sales query by analyzing his business needs and gathered all the details related to the query he had raised. In Magento 2 Multi-Vendor Marketplace a seller can add multiple types of products like simple, configurable, virtual & downloadable. But, for allowing the sellers to create Web To Print types products, Marketplace Web To Print Add-on is required. With Magento 2 Marketplace Web To Print Add-on, the vendors can create customized print-on-demand products for their customers. Enabling the customers to customize the products on their own by selecting the different tools and options available. Magento 2 Marketplace Web To Print add-on is useful for those merchants who are selling personalized products such as printed t-shirts, coffee mugs, phone-cases, photo-gifts, etc. Webkul modules eventually helped Martin to start with off his new online marketplace. Martin was very attentive to every detail and helped our developing team to clear each & every requirement in making the best online marketplace store. He came up with the new ideas to implement them within the website. “I would like to add the color swatches to the Web To Print products. The customer should first be able to determine the color of the T-shirt before he customizes it in the editor. 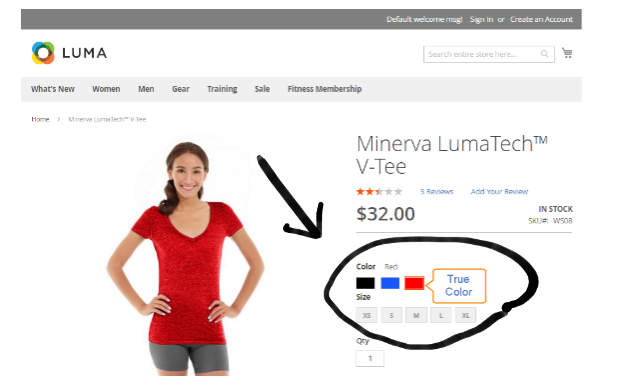 Martin wanted to have color swatches to be displayed on the product page, where the customer can choose the desired colored tee and then proceed to customize that t-shirt by just clicking on customize product button. 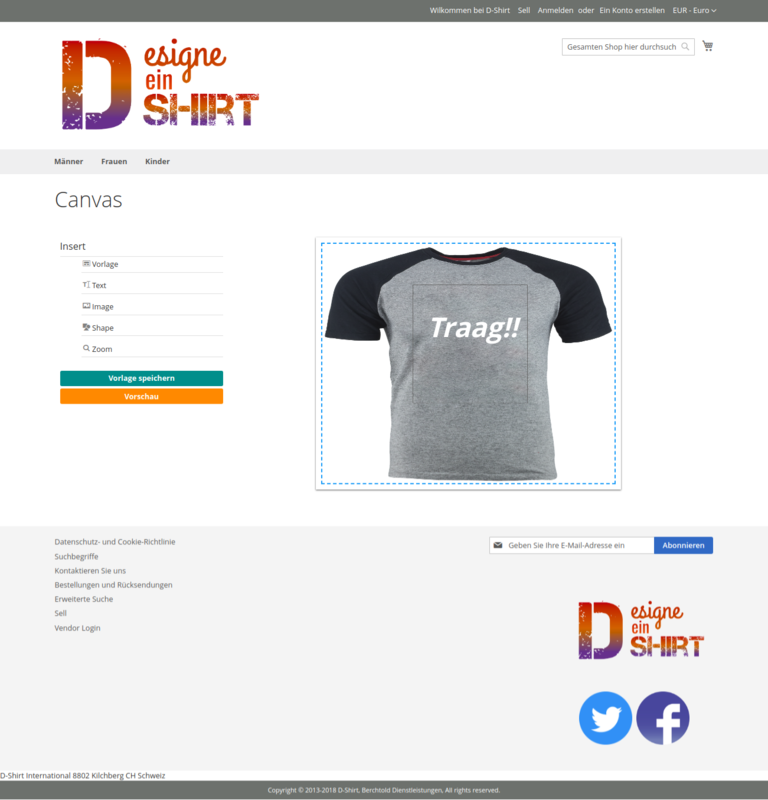 Like introducing custom options like color swatches on the product page, by which the customer can easily choose the desired colored tee and proceed further to customize it. 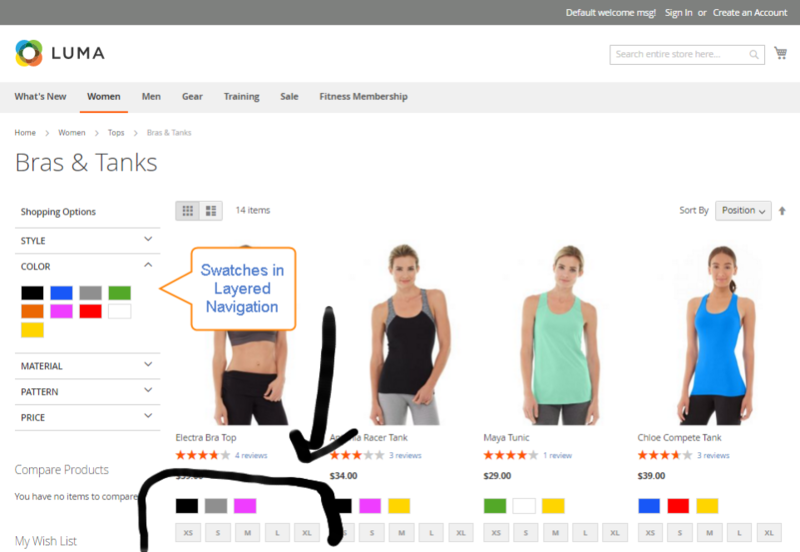 Likewise, on the product page, the customer can filter the t-shirt by selecting color swatches from layered navigation too. Our developers understood the requirements very well and delivered the required results to him. Plus updated him regularly over the tickets with the progress of the work done. And shared the updated part on a regular basis. The customer can manage the size of the mask & also can choose a different font, sizes & colors. After customizing, save the created template & preview it and if matches customer desires then the customer can add it to cart & purchase it. Here, you can see a base t-shirt selected by the customer from the available color swatches. After choosing the particular t-shirt proceed to customize that t-shirt. Here the customer can select from different insert options like templates, text, shape, image, zoom and then save the customized template, preview it and save it to the cart to purchase it. In the end, Martin was pleased with the customization work done by our developers. Currently, his website project is still in the development stages as new features and functionalities are being tested. Once done, the D-Shirt online store will be live for purchase soon.